Martinelli who returns to court this month for the continuation of his hearing for illegal wiretapping and embezzlement, with the prosecution calling for a 21-year jail term. 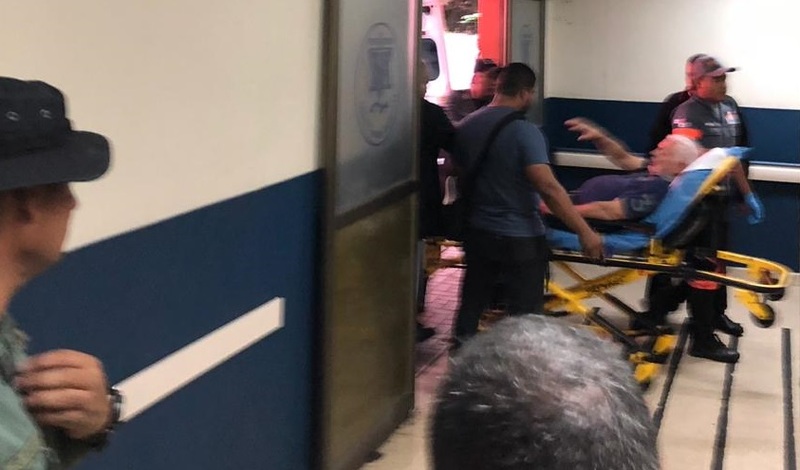 Previous visits to the hospital have led to examinations by a medical forensic team, and Martinelli has been returned to detention. True that man, he is just toying the system like always, but unfortunately the law system in Panama has big holes where corruption can hide and do as they please. Hypertension (otherwise known as high blood pressure) can be controlled with a few daily pills. There is no need for a hospital visit. This guy is going to continue milking the system until he is told "NO".